NBC Postseason Extra will be modeled after the Sunday Night Football Extra and will provide some of the same features such as additional camera angles, exclusive sideline updates, and DVR functionality. The NFL Mobile App, available to Verizon subscribers with iPhones and compatible Android phones, will also provide live streams of the same post-season games including Super Bowl 46. 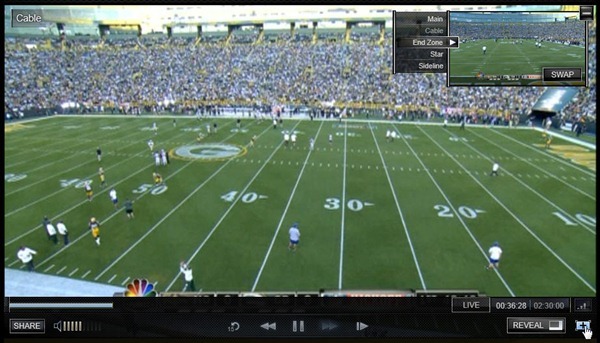 In additional to NFL Mobile, subscribers may also have to pay for a monthly VCAST subscription to watch the games. All the available post-season games will be broadcast by NBC. The Wild Card Games are the two NBC games which are scheduled to be played on Saturday January 7th, 2012. The Pro Bowl takes place on January 29th, and Super Bowl XLVI is on February 5, 2012. Quite a nice little Christmas gift from the NFL to all those who will find themselves unable to be in front of a TV during the NFL playoffs.